Life at The Ogden is as much about how you live as where you live. 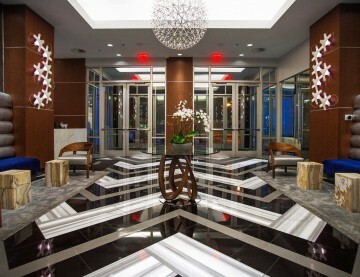 Residents enjoy exceptional services and lifestyle amenities, including our dedicated concierge staff, food delivery, pet park and 24-hour, onsite dry cleaning. 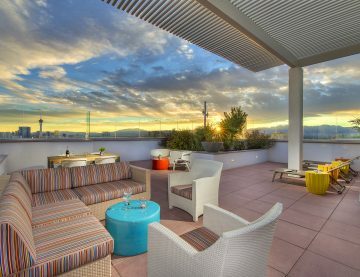 Share cocktails with friends on our Sky Deck, kick back and watch the game in our Social Lounge, or explore some of our other well-curated indoor and outdoor spaces designed equally for entertainment and relaxation. 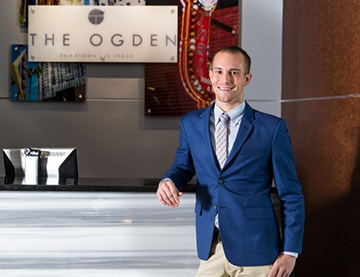 The Ogden’s Lifestyle Director coordinates a social calendar chock full of events, from cocktail and movie nights under the stars to weekend brunches and resident mixers. Here, you’ll find everything you need for gracious living, whether you’re looking to work, play, or a little bit of both. Our dedicated Concierge provides a number of services, catering to residents’ needs and allowing them to enjoy an effortless lock and leave lifestyle. 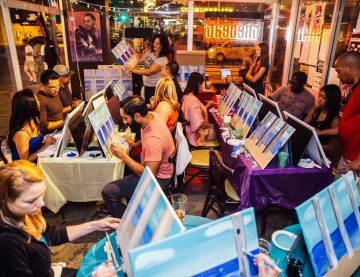 Our Lifestyle Director is always coming up with fresh ideas for exciting resident social events and outings to the hottest spots around town. 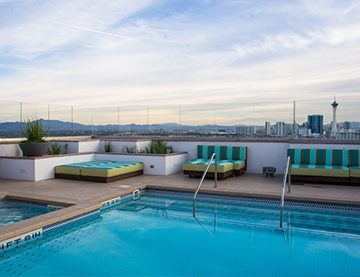 Escape to our elegant rooftop pool for a cool dip and panoramic views of The Strip and surrounding Red Rock Canyon peaks. 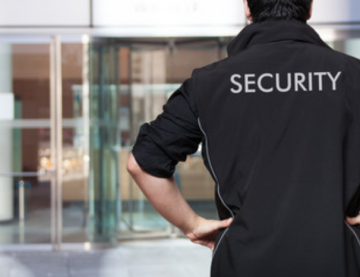 Our dedicated security team monitors the lobby and our gated parking garage in person 24 hours a day, seven days a week. 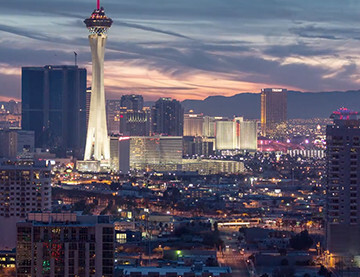 Watch the sun set behind the mountains and the city light up below from some of the best seats in Downtown Las Vegas. 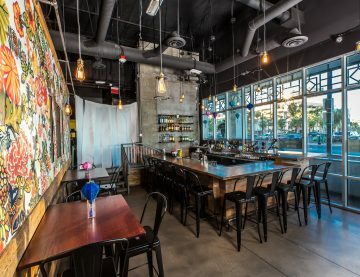 The ground floor has something for everyone, whether setting out for cocktails at Oddfellows, lunch at Rachel’s Kitchen or Flock & Fowl, or a blowout at Bombshell Beauty Lounge. Fully equipped with the best cardio and strength-training equipment, it’s the perfect place to energize your body and mind without ever leaving home. 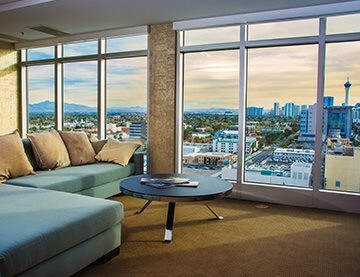 With its open layout, plush furniture and kitchenette, our 16th-Floor Social Lounge is like the great room you didn’t know you had, capturing panoramic views of The Strip. 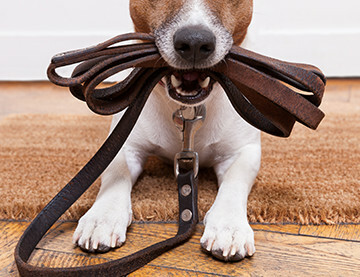 No need to wander the streets for that morning or afternoon “walk.” Instead enjoy the convenience of our private, 24-hour, onsite dog park. Our on-site managers are here to offer immediate service for any issues or questions that may arise at The Ogden. A grand lobby entrance, with marble, floor-to-ceiling glass, warm lighting and plush furniture, sets the tone for your new home. 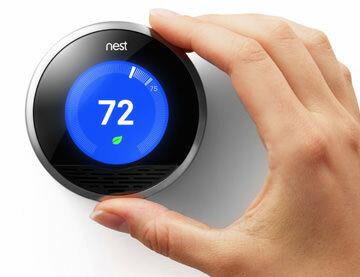 The Nest Learning Thermostat programs itself and automatically helps save energy when you’re away. Control it from anywhere using your phone, tablet or computer. 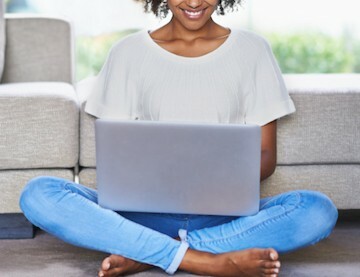 Enjoy complimentary Wi-Fi throughout The Ogden’s common areas. Reaching 25 stories into the sky, The Ogden offers the opportunity to see the Las Vegas Strip from a truly exceptional point of view. 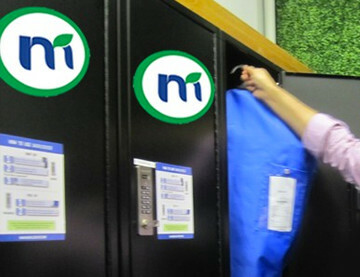 Mint Lockers offer you laundry and dry cleaning services 24 hours a day, seven days a week with 1-2 day turnaround. 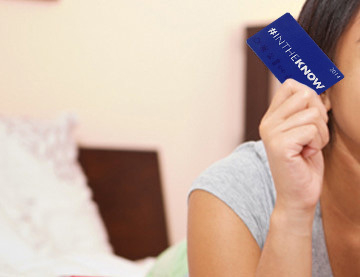 An owners privilege card that gets you exclusive offers and premium benefits to featured neighborhood businesses. 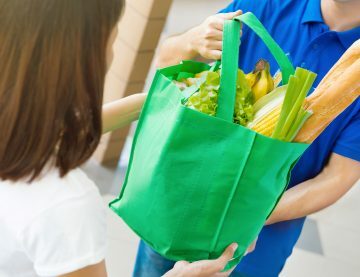 Skip the hassle and have your groceries delivered, or order some of the best Las Vegas cuisine directly to your front door. 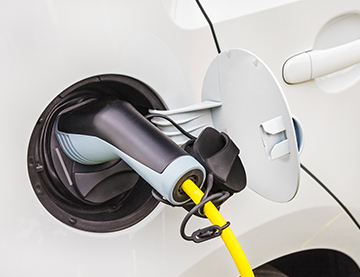 The gated parking garage offers residents opportunities to charge their electric vehicles in the comfort of home.